April showers bring May flowers but before the flowers bloom, we deal with MUD. Leon went on to groom his horse of all mud and dust, readying him for the lesson. His patience and ability to correctly lead and groom his horse starts from the ground up, with great results when he gets into the saddle. Gideon knows Leon, and Leon knows Gideon. 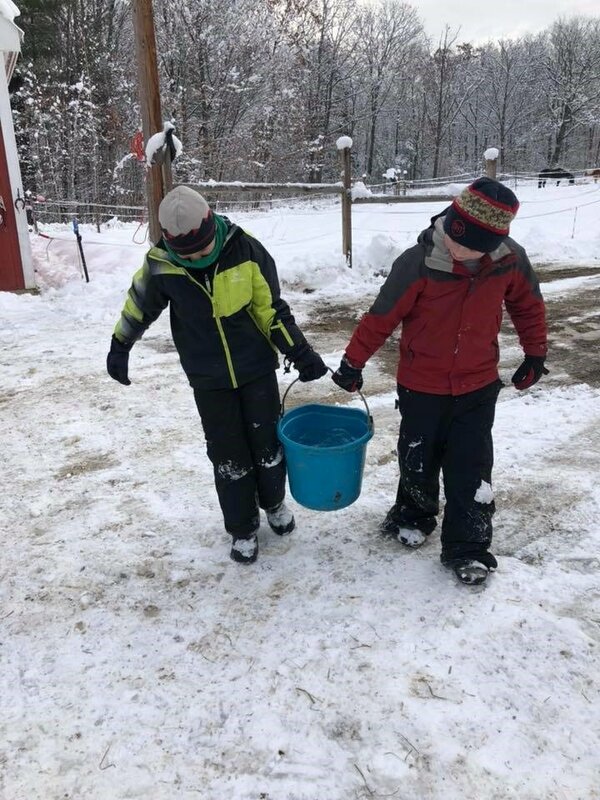 Our community safely teaches self-reliance and team work to get the job done! We can’t continue to do this work without the community of supporters like you who make it possible for Leon to learn from mud, and Gideon to teach him these lessons. We have doubled the number of riders in just one year, and currently teach 50 riders a week. 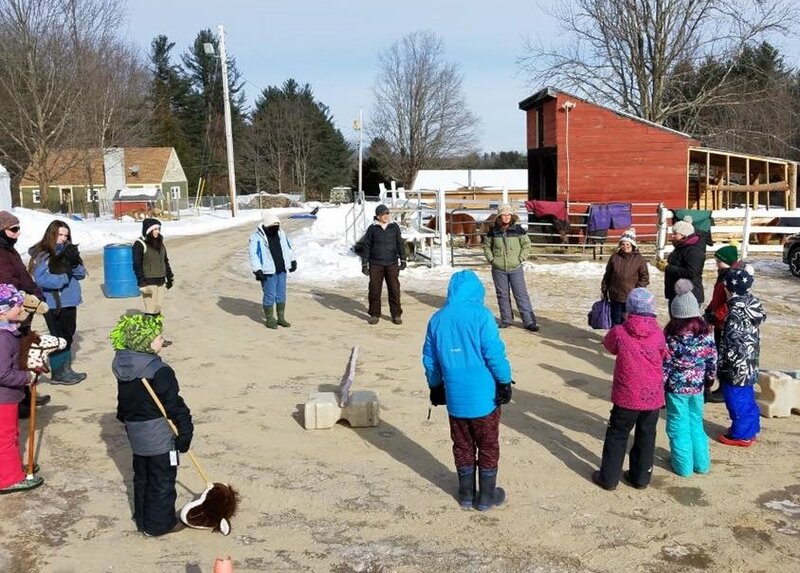 To serve them we have added instructors and offer school break camps as an additional way to experience the healing power of our herd. Please consider a spring donation to support the new students who will appear with the flowers of May. Riding towards the May Sunshine! "Do You Still Ride in the Winter?" she asked. Yes we ride in the winter! Please note we have permission to use all photo's in this report. To protect client privacy, I have changed names in this report. "Do you still ride in the winter?" 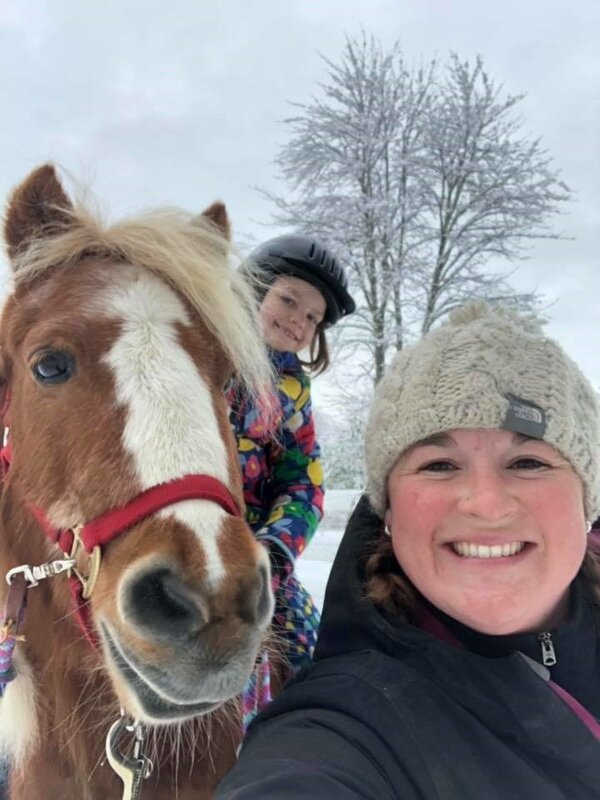 A hesitant voice on the other end of the phone line disrupted my morning of shoveling, sanding, and hauling water in addition to the regular barn chores needed to feed and house 11 horses. The local plow guy would be here in an hour, but the horses need breakfast early. And now we have a reason to haul the water, and shovel the snow! A new rider will begin next week, and hopefully find delight in his 'therapy' and added focus. 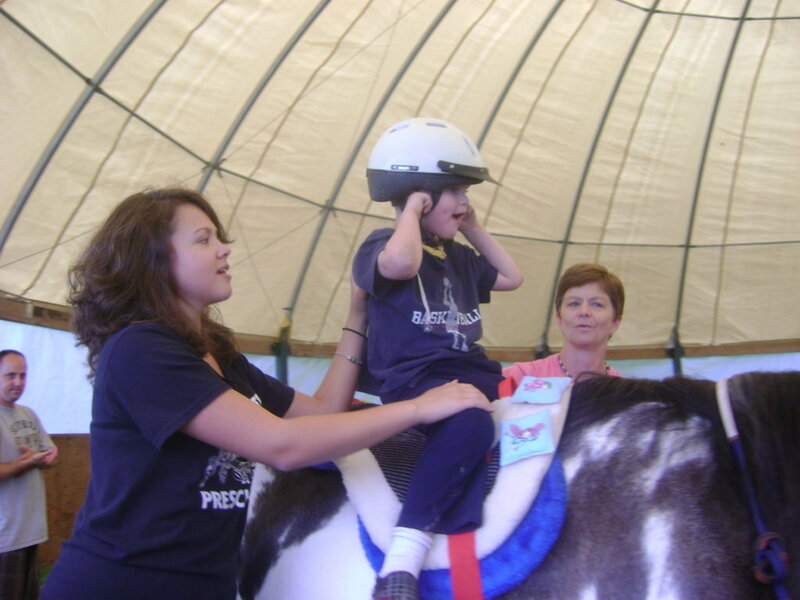 We offer riding year-round because our clients have told us of the skills lost when therapy is interrupted. 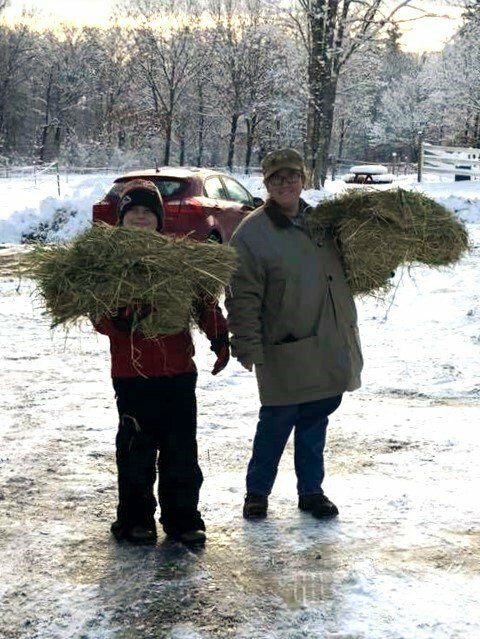 We get help from neighbors with plowing the driveway and roads to the fields, and help from over 40 volunteers who give of their time each week to keep the office and grounds running smoothly, the stalls clean and bedded, the hay stored safely, the water buckets cleared of frozen water and refilled, the daily grind that winter adds to our routine. And winter here can be brutal, NH known for cold and snow. Some clients take a break during the coldest parts of winter; turning to aqua sports, or skiing for exercise. Then most return with the spring, ready to be greeted by their friends in the barn. But many come all year round..from .Polly (67) who never misses a week, to Jackson(2), who can barely bend his elbows through his snowsuit! Schools send busloads for group interactions, and the days are busy, into the darkness of early evening. 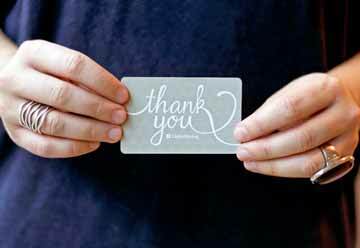 With the New Year at hand, I want to thank you for your financial support of our programs. 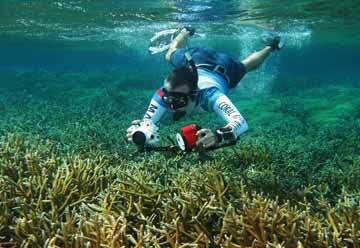 Without your help, the day would be colder, the wind stronger, and the task near unbearable. It's only with the help of our community of supporters that lets us just get it done!. "It takes a village to raise a child" is an old African proverb. 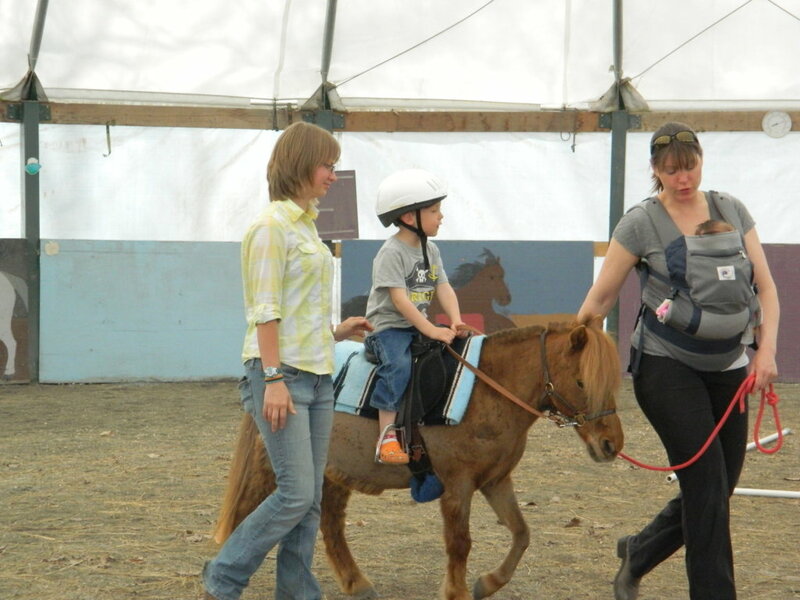 Thank you for expanding our 'village" of support so all our clients who wish to, can ride all year long! Horses drink lots of water! A quiet Winter ride..the best! 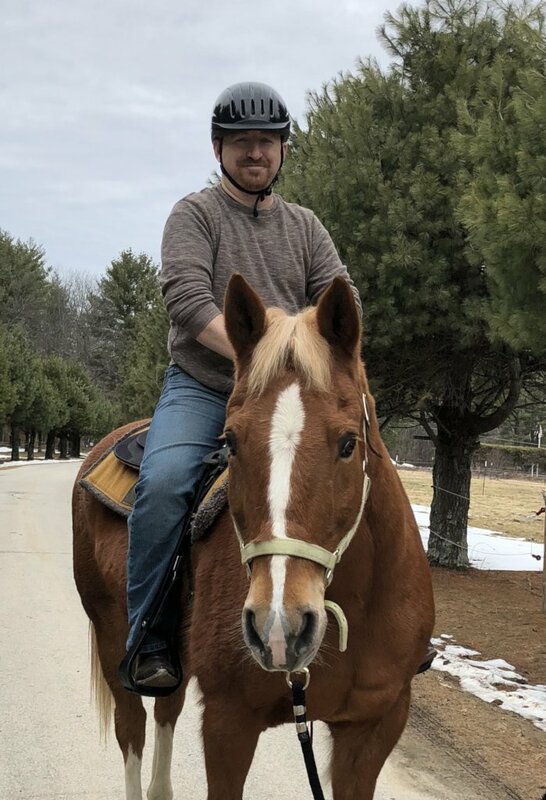 Generous public support through this GlobalGiving Platform enables us to reach out to Veteran's Service Organizations to collaborate in bringing more people the benefits of horse interactions! Tomorrow begins our work with Team RWB (Team Red White and Blue, Manchester NH chapter). 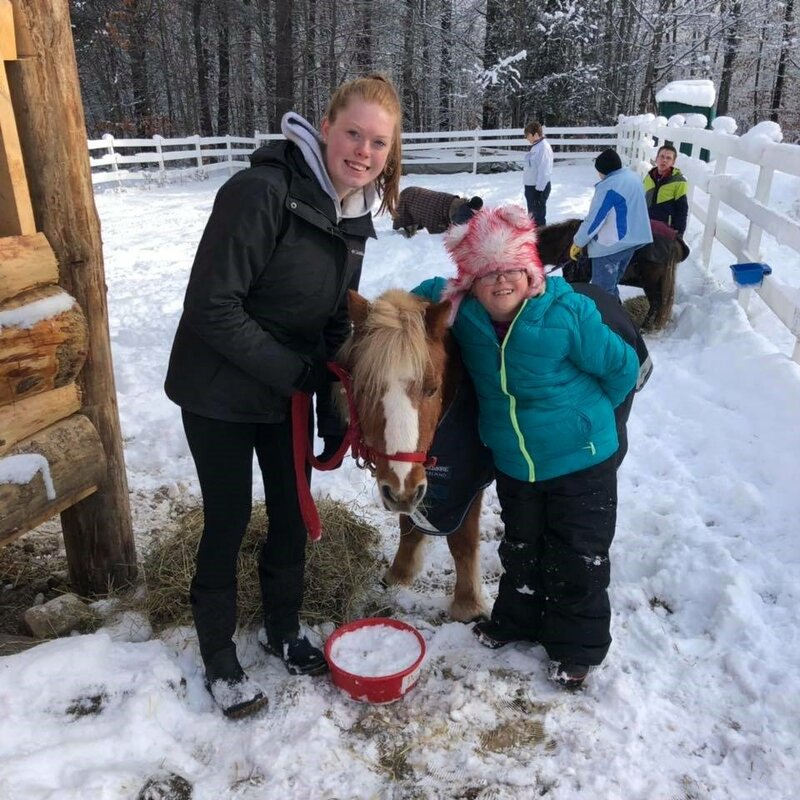 We are proud to be in the process of building a relationship with this fantastic Equine Therapy Center to be a part of their RideUP program in the future. We have asked to hold our 3rd quarter open leadership meeting at the Center so we can utilize the team building skills and ideas they have for their clients to help us in Team RWB Manchester. And, so that our members can get the opportunity to see all of the different options the Center has to offer. Please wear boots or sneakers that are sturdy for your feet (and you don’t mind getting dirty), we may be on their trails and it may not be even ground. Come join the leadership team for our 3rd quarter open leadership meeting. This will be a fun filled team building activity. This a Child Friendly Center, so bring your Mini Eagles. All are welcome to enjoy the day!! 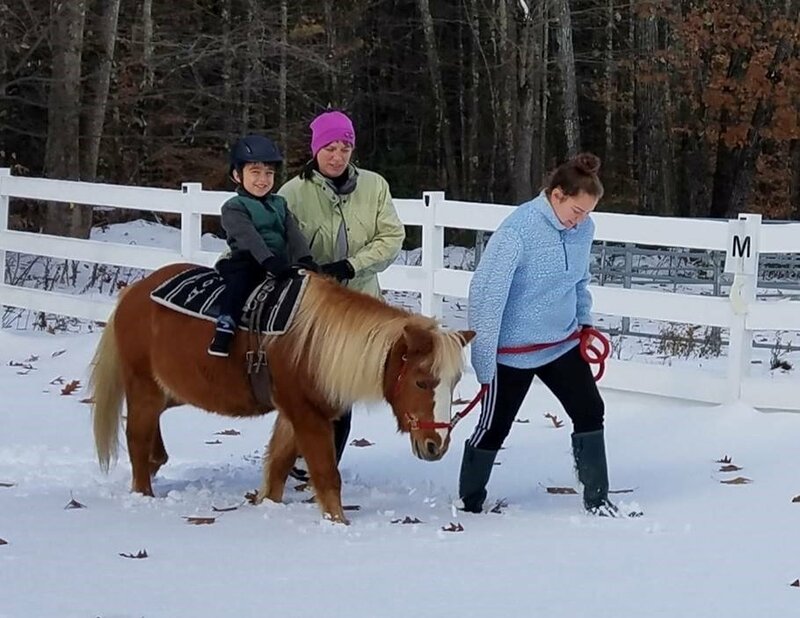 As a site for ongoing interactions, BITS ETC hopes to provide continued opportunities for Veterans and their families to find relaxation and respite on our campus with our therapeutic herd of horses. Anticipating an increase in clients, we have invested in a search for additional horses, and will welcome "Spencer's Rising Star" as our newest addition to the herd. 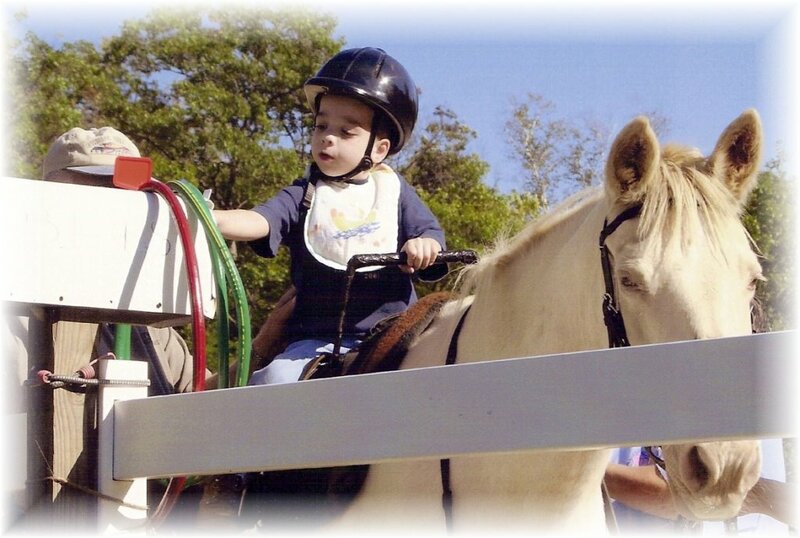 Spence will be used in the Veteran's programming (Our Ride UP program for Uniformed Professionals) as well as our general therapeutic riding program for children and adults with disabilities. So much expansion requires continued dedication to raising the funds to continue our mission. 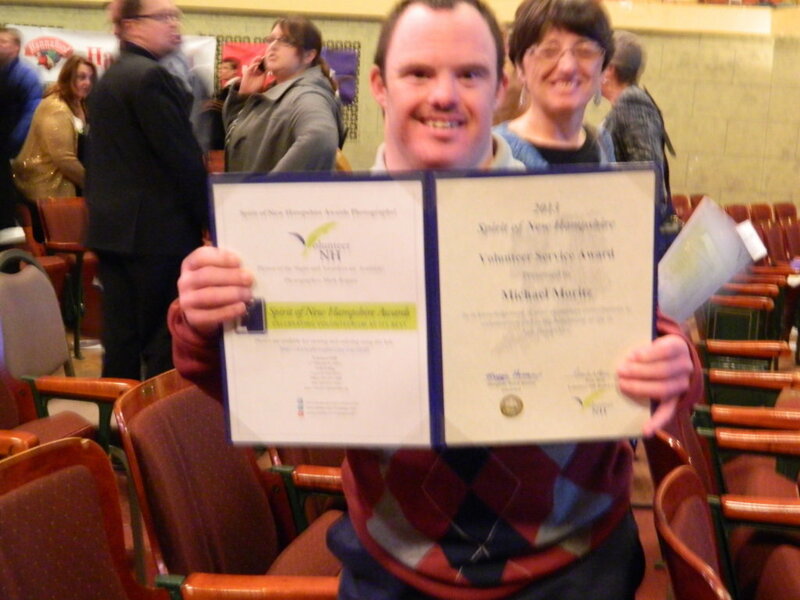 Thanks to GlobalGiving we are able to get the word out about what we do, and why we do it. Couldn't make it happen without YOU!! Last month we hosted an Open House for Veterans to let everyone know about our complimentary Ride UP program to put veterans, and their family members on horses. 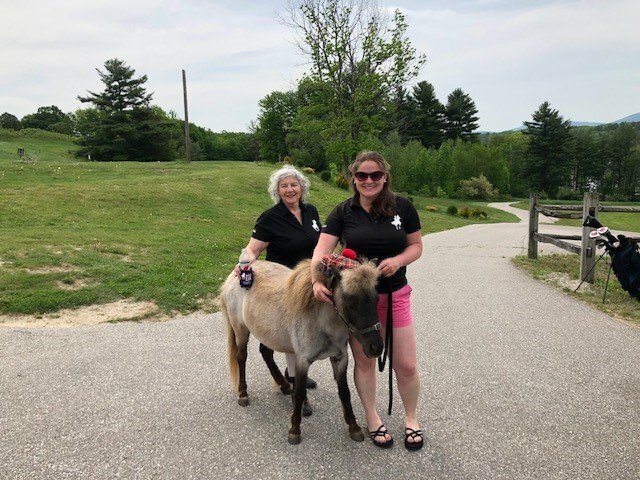 It was a great day with over 40 participants learning the joy of working with horses, riding, and interacting with ponies, and our donkey, Mr. Jingles. On April 25, we received a call from Brian. His friend Dan had fallen in Iraq two years ago, and Brian wished to honor his memory, and in so doing, raise funds for veteran's services. He had attended our Open House, and suggested to Countryside Golf Club that they host a benefit golf tournament in Dan's honor. Memorial Day weekend saw 35 golfers come out to play for BITS ETC so our services to veterans can remain free of charge. Mystique, our spokes-horse attended the gala event,and provided some entertainment when she escaped, and had to be wrangled back by golf cart riding 'cowboys." 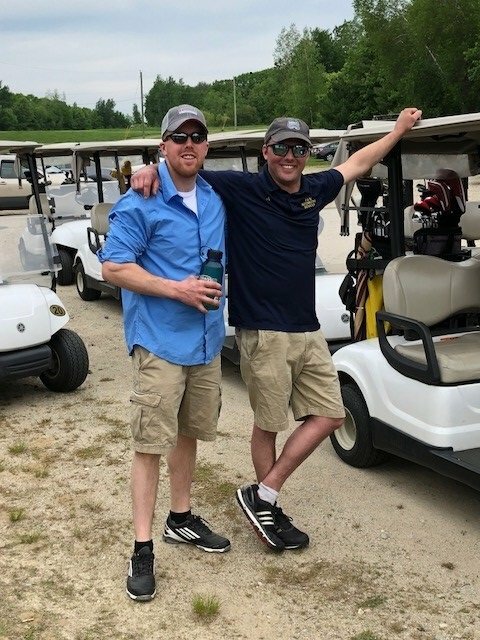 No one had seen a horse on the course before...but even with all the excitement, we were able to raise nearly $4,000.00 to fill the scholarship coffers once again. Our 'free" open house led to donations to support the programs, and provided a memorable Memorial Day filled with fun and purpose. We were happy to learn we have just started the first of many "Annual Red White and Blue Golf Benefit Days" as Countryside asked us back for next year. What goes around, comes around, so I am asking my Global Giving partners who enjoy golfing but were unable to enjoy the day at Countryside, to help us fill the coffers for veterans who give so much to each of us with their service. In memory of someone you know and remembered this Memorial Day, won't you please support BITS ETC with a donation today? Patriotic Golfers raise funds for vets. 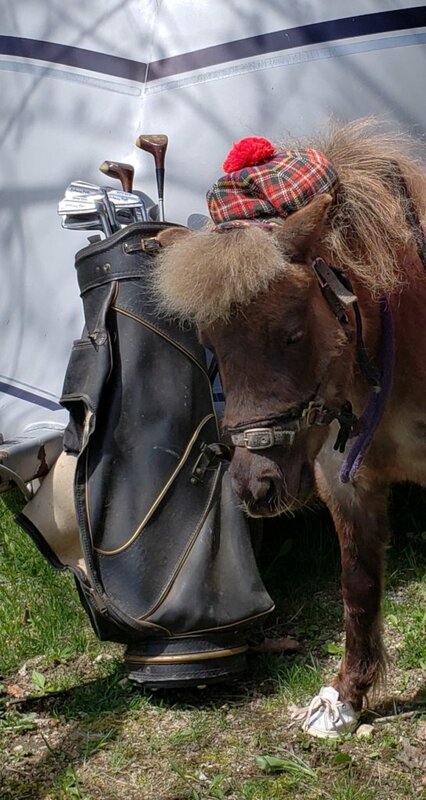 Miniature horse ready to putt! 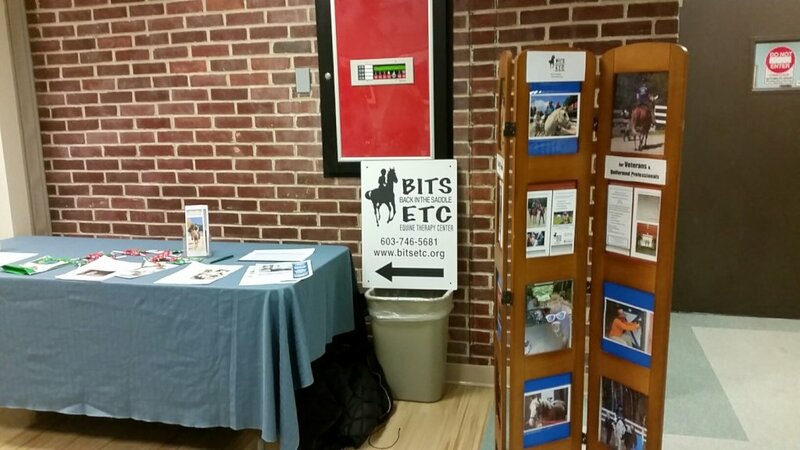 BITS ETC has always held the committment to offer free services to several key segments of our riders: Those living with Autism, and Veterans and Uniformed Professionals. Now, after months of meetings, with the agreement of key stakeholders, we are happy to annouce the formation of a N.H. 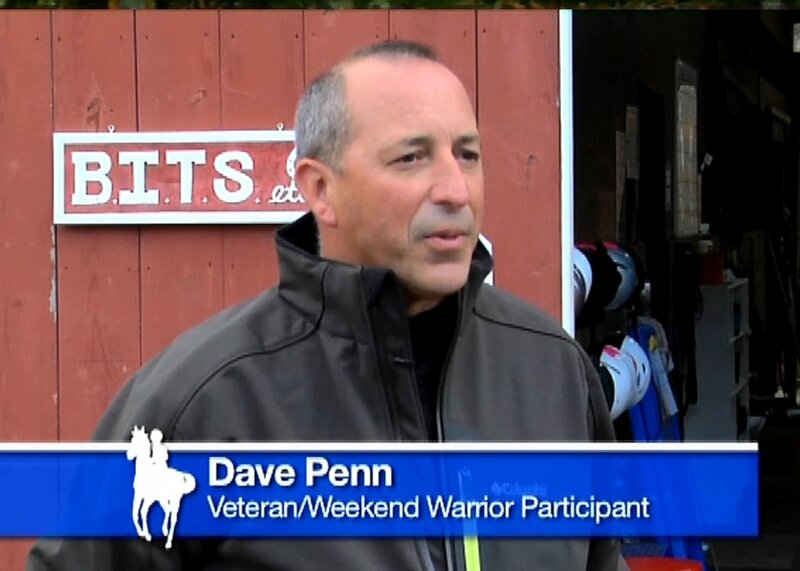 Veteran's Collaborative for Equine Services. There is strength in numbers I am told, and I never cease to be amazed by what more can be done with a little help from others with a similiar mindset. Two other New Hampshire P.A.T.H. 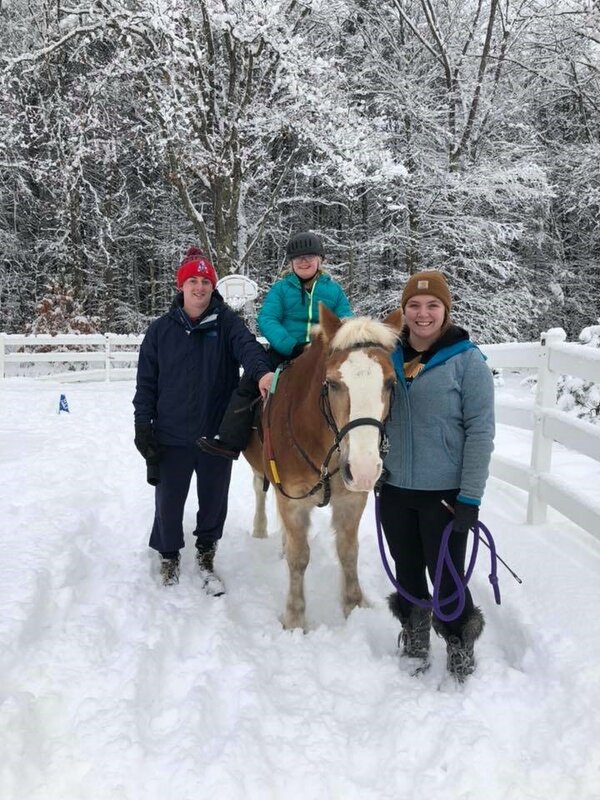 International centers (Professional Association of Therapeutic Horsemanship International) have joined with us in an effort to serve veterans who could benefit from a connection to horses. 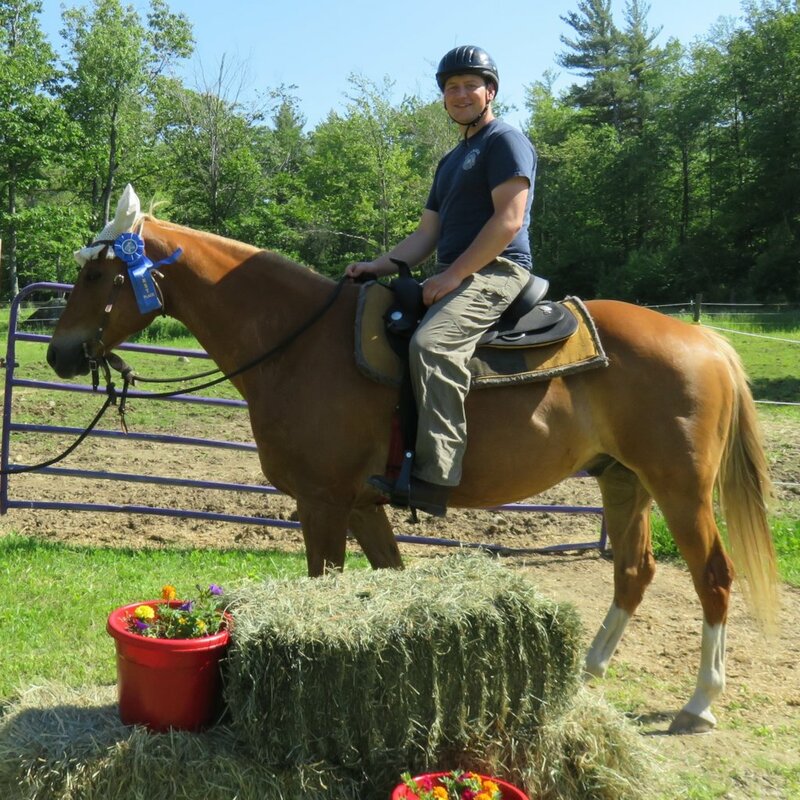 Touchstone Farm, Temple, and UpReach Therapeutic Equestrian Center, Goffstown, have joined with BITS ETC, in Hopkinton to offer therapeutic riding, carriage driving, and equine assisted activities free of charge to Veterans. 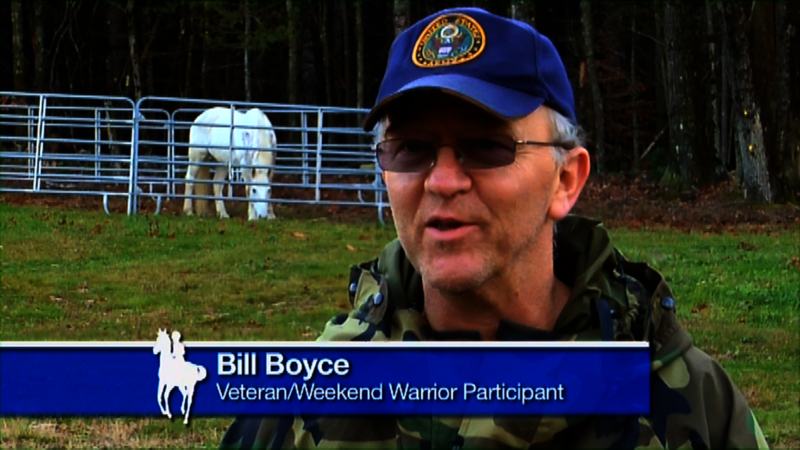 With three Centers, covering south/central NH, more Veterans will find a center near where they live to interact with horses. The V.A. 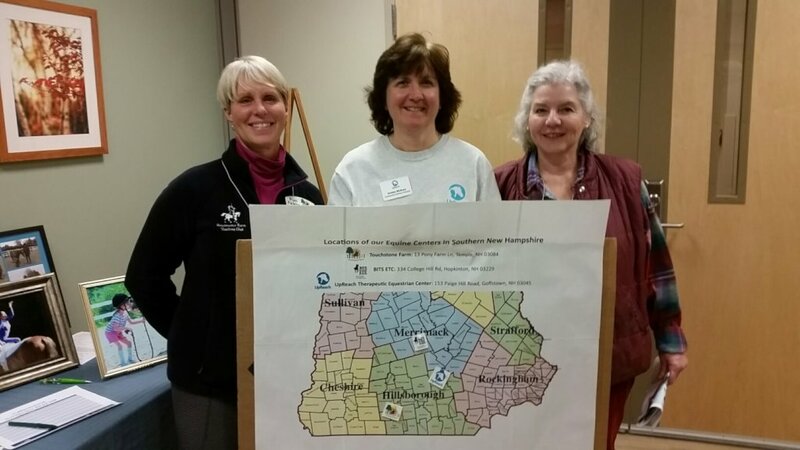 Hospital in Manchester, NH is facilitating these opportunities with the help of their Recreational Therapy program, and by referring Veterans who struggle with physical, mental, or emotional healing. We are happy to announce our first joint event to begin this collaboration, which is an "Open Barn" on April 21, 2018 to be held simultaneously at all facilities. Come visit one near you, or visit all three over the course of the day. Veterans and their families are welcome to come for tours, and light refreshments, as they see what each center has to offer. 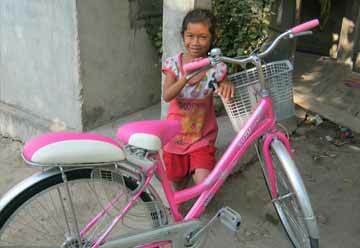 Donations to this Global Giving Campaign are more important than ever as we expand programs that help more of our riders. You can be a big part of this initiative and bring us closer to our goal of offering all therapeutic interventions free of charge to our clients. 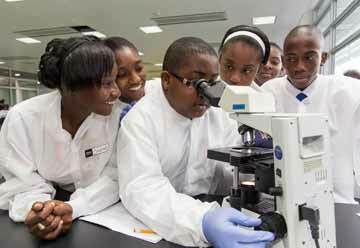 Your donation today is an investment in someone's tomorrow. Will buy hay for one horse for a day.